Whilst we never created the Nottingham Food Lovers Blog as a news site we sometimes come across a little piece of information that we feel we need to shout about in celebration of food in Nottingham and the surrounding area. 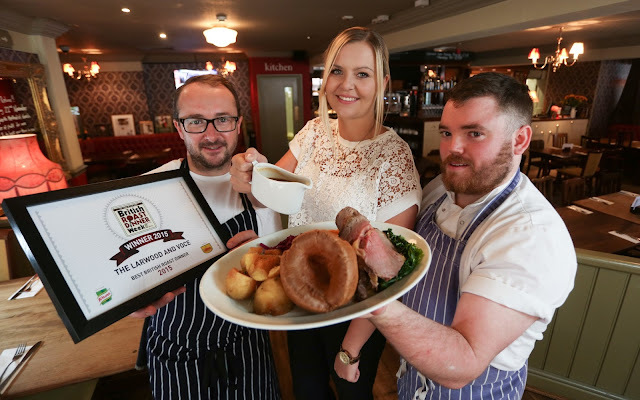 The Larwood and Voce in West Bridgford has been awarded the Best British Road Dinner crown at the recent British Roast Dinner Week which ran from into the first week of October. It's a great award to celebrate local food and we'd like to offer our congratulations. The title celebrates the quintessential British dish. 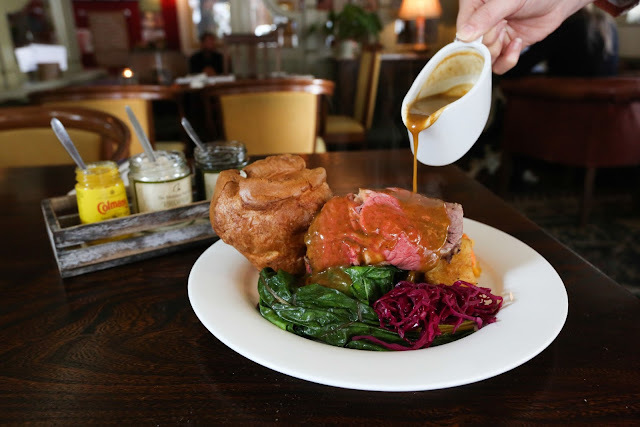 Whilst once upon a time it would have been known as "Sunday Dinner" a roast dinner is a real pub classic which many of us enjoy no matter what the day or time of year. British Roast Dinner Week is an annual event sponsored by Knorr Gravy and Colman's Mustard to celebrate the dish. This year there were 447 entry submissions from pubs and restaurants across the UK of which the Larwood and Voce came out victorious. As part of their service for large groups they will even bring out your meat to carve in front of you at the table and are in the process of installing their own dry-ageing fridge to further enhance flavours. Definitely worth a visit.